Billy McKee and son Gunner, 12, of Terry killed these two Jasper County bucks on Nov. 24 five minutes apart from the same stand, with the same gun. 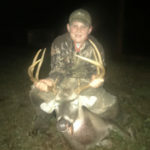 Gunner McKee, 12, of Terry with his 121-inch 8-point taken Saturday in Jasper County. 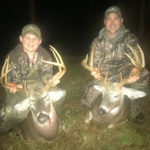 Billy McKee of Terry killed this 141-point buck with his son Gunner’s .30-06 rifle, just five minutes after the youngster had killed an 8 point. 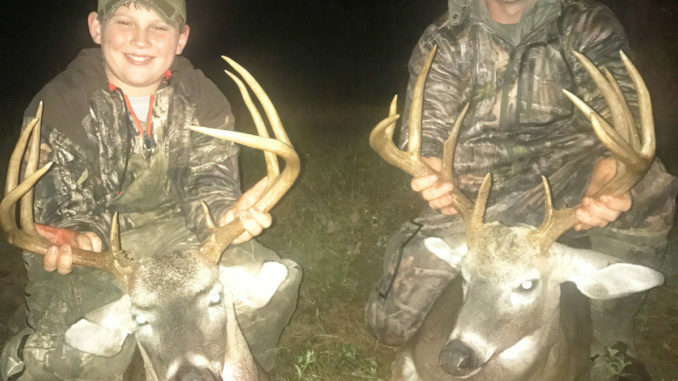 Billy McKee and his appropriately named son Gunner of Terry can make a claim that few other deer hunters can — they collected 262 inches of antler with two shots in five minutes. And, with the same gun. That’s right, on Saturday, two days after Thanksgiving, the McKees killed two bucks in a very short period of time. 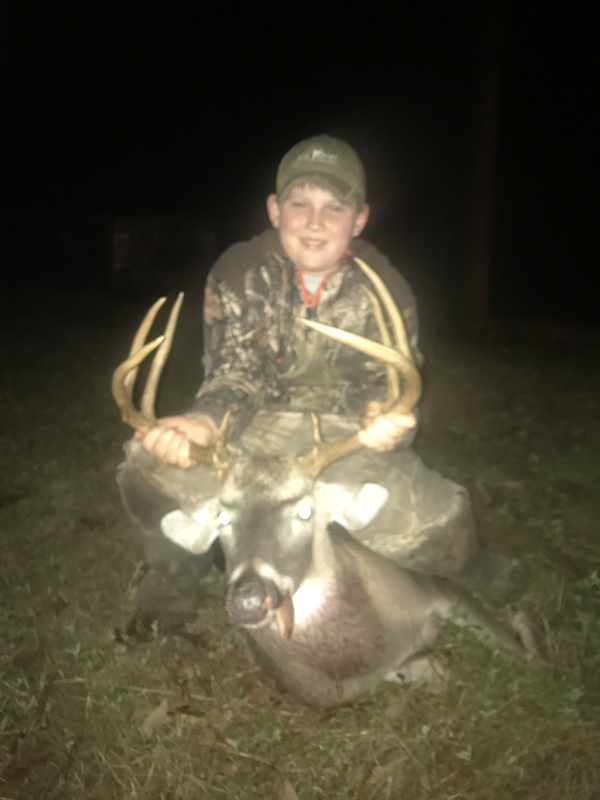 Gunner, 12, killed a (rough-scored) 121-inch 8-point buck. Billy took the same .30-06 Ruger and shot a 141-inch 11-point. “I told Gunner, ‘son, we aren’t likely ever going to do that again,’” Billy McKee said. The story starts on Thanksgiving Day, when the two hunters headed to their Jasper County hunting club on family land. They decided to just ride it out and sit in the two-man stand until dark. But they made the most of it, even joking about what they might do if the two shooters showed up. 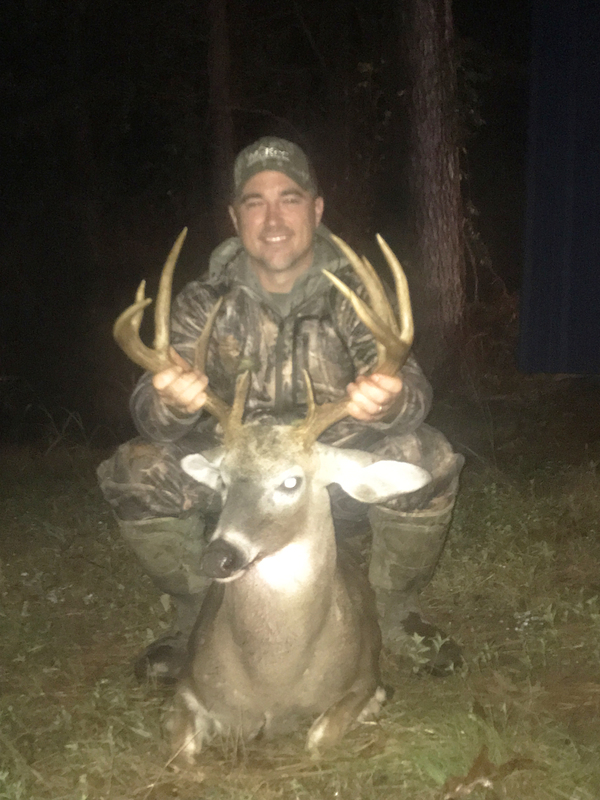 “About a quarter to 5, we saw a nice buck walking in the pines, roughly 80 yards away, and realized it was a shooter,” McKee said. 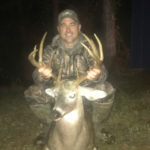 “We were able to see that the buck had good tines, and appeared to be the 8 point we were after. I gave Gunner the green light to take the shot. So he knocked the safety off, and squeezed the trigger. “I noticed a figure that I didn’t recall being there — I am constantly scanning the woods and knew that blob wasn’t there earlier — so I picked up my binoculars for a better look,” McKee said. “Guess who it was — it was the other big shooter we had on camera. He was standing like a statue staring at us. I could not believe I was looking at him. It was less than five minutes. 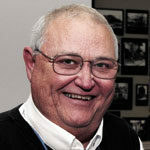 At the shot, McKee said the big buck lunged forward and took off in the same direction that Gunner’s deer had gone. McKee said he wasn’t expecting to find the deer without help, after all there were two to find and both had disappeared from sight. “We had one little flashlight between us but we got down and went and looked and was ready to go back to the camp and get my dad and others to help,” he said. “But, right before we did that, I told Gunner we should make one little lap through the pines and see what we could find. It was pretty thin in there. Jasper County in Southeast Mississippi is rich in deer quantity, but not so much in quality. Both had matching 16-inch inside spreads, and both sported right at 21-inch main beams. With 11 points and a bit more mass, Dad’s deer measured out higher than the son’s, 141 inches to 121 inches. Shoot, it’s a story that they can both tell the rest of their lives.